Polish American serial killer Tillie Klimek was given birth name Otillie Gburek. Tillie poisoned about twenty people, and fourteen of them died. Tillie was born in Poland in 1876 and came with her parents to the United States when she was an infant. Tillie married her first husband John Mitkiewicz in 1895 and John died in 1914 after being ill for a short period. His death certificate states that he died from a heart problem. Tillie soon after married her second husband, Joseph Ruskowski who did not live too far from her but he also died not too long after his marriage to her. Tillie"s legends mention that Tillie pretended to have precognitive dreams that told her the exact dates the people she kills would die but it was all in Tillie"s head as she was scheduling when they die. There is no record that shows Tillie claiming that she is a psychic although it is mentioned that she gleefully told her husbands and neighbors when they were going to die. Tillie married her third husband, Frank Kupczyk who fell sick in their apartment at 924 N. Winchester, Chicago. Tillie lived with her boyfriend at the same residence previously under a different name which was Meyers. Tillie made fun of her husband Frank by telling him in the morning "It won"t be long now," and "You"ll be dying soon." She also told her neighbors that Frank had "two inches to live" and "would not live long" referring to Frank. Tillie knitted herself a mourning hat while sitting at Frank"s bedside and wore that same hat to her trial in court. Knitting her mourning hat was not enough, she found a bargain coffin and asked her landlord if she can put it in the basement for Frank"s funeral. Tillie married her fourth husband, Joseph Klimek in 1921 after Frank died and lived with Joseph at 1453 Tell Place but he too fell sick, and doctors confirmed that he was poisoned with arsenic poison. Tillie was arrested and told her arresting officer that "The next one I want to cook a dinner for is you." Tillie"s husband"s bodies were exhumed, and all of their bodies had lethal doses of arsenic poison, and the soil around the bodies was clean. Tillie confessed to police that she told her cousin Nellie that she was tired of Frank and Nellie told her to divorce Frank, but Tillie told Nellie that "I will get rid of him some other way." Nellie was arrested because Tillie told the officers that Nellie gave her a huge amount of poison called "Rough on Rats." It was discovered after Tillie was arrested that several of Tillie"s and Nellie"s family and neighbors died before Tillie was arrested. Many of Tillie"s and Nellie"s family became seriously sick after they ate at Tillie"s home. Tillie gave two of her neighbor"s candy after she had an argument with them and they died shortly after Tillie gave them the candy. It was discovered that a dog died from arsenic poison at Tillie"s Winchester Street house. Newspapers portrayed Tillie as a solo murderer, "high priestess" of a "Bluebeard clique" in the Little Poland neighborhood in Chicago. Joseph Klimek stayed in the hospital for about three months but survived Tillie"s attack. It was later discovered that Tillie gained a lot of money from her husband"s death because she had taken out life insurance policies on them. Tillie Klimek was sentenced to life in prison in March 1923 after she was found guilty of murdering her third husband, Frank Kupczyk. Life in jail was the cruelest punishment ever served to a female in Cook County at that time. Nellie"s trial was drawn out, and she was acquitted after one year in prison. Tillie died on November 20, 1936, in prison. Tillie Klimek serial killer is a female serial killer. 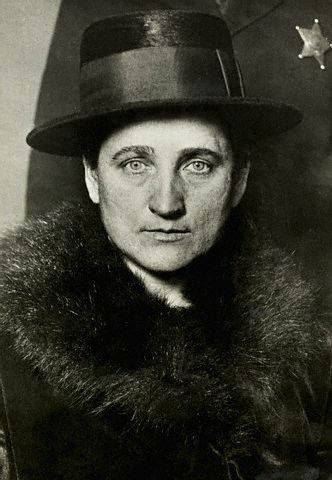 Ottilie "Tillie" Klimek, Tillie Gburek is a female serial killer.